This recipe is for the original formulation of Ruination, a West Coast IPA that defined the style with resinous pine, a big malt backbone, and a lovely orange amber color. Dean Mochizuki, Assistant Head Brewer at Pike Brewing Co. in Seattle, Washington, provides BYO magazine with a recipe for his Double Trouble Double IPA, a favorite recipe of his. Columbus and Amarillo® hops are featured in this brew. According to Lompoc Brewing Co.'s website, C-Sons Greetings Ale features "A deep copper colored ale brewed and dry-hopped with all seven "C" hops for a piney, citrusy, floral and resinous aroma. 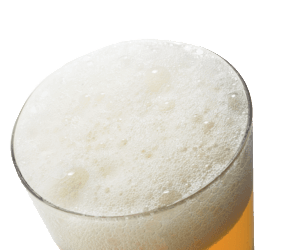 Offers a full hop flavor with a rich caramel malt finish and an endless developing hop presence."